The whisky festival in Alkmaar, hosted by Wullie MacMorland of The Hielander Scottish Restaurant is usually the first official whisky event of the year. This year it is no different. Funnily enough I go there every year with different people. The first time with Anneke, the second time with friends and this year my in-laws were up! We went for the Saturday afternoon session since that is the quietest, and I like to have time to choose a dram and chat to the people behind the stands. When we came in we did an exploratory round by all the stands during which we tasted a dram here and there. Probably not the best ones since I barely remember what we had (and I didn’t take notes). After round one I tried Drinks & Gifts new bottling of “Somewhere in Speyside 2003” (which is a Balvenie, probably tea spooned, since I didn’t see ‘Single Malt’ on the label). This was one of the better indie Balvenies I’ve tried and I really liked it. This one has been put on the wish list. After that it was time for some GlenDronach and BenRiach. I tried the new GlenDronach cask strength, which was oddly expensive at the festival (3 euros of a sip) but it’s a pretty nice dram. I’m probably not as swept of my feet as the rest of the world because it wasn’t the first of the day and I didn’t do a proper tasting. 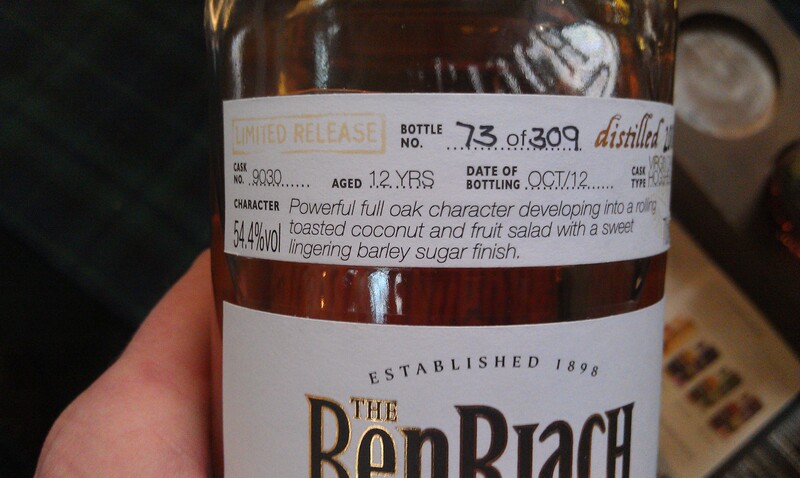 Next was a BenRiach 12 Virgin Oak bottled for The Netherlands. This, my friends, is a stunning dram. The spirit and the oak work wonderfully together and give a clean basic whisky with lovely flavours. After that we tried some Clynelishes since I feel I have to top up my amount of bottles. I’ve finished three of them over the weekend, so it’s about time to invest in this again. We tried a Berry Brother’s & Rudd and an Old Malt Cask which were rather similar with the BBR version just winning out. At the end of the session we tried some old and ‘no longer available at decent prices’ drams at Dutch Whisky Connection. 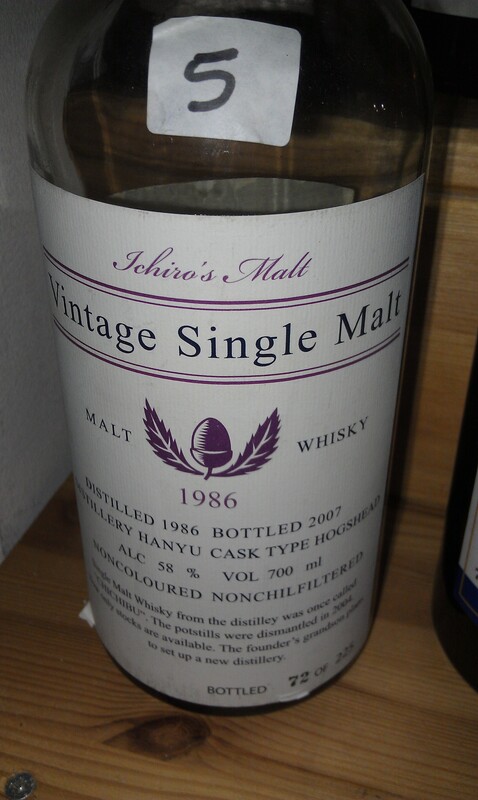 And old Hanyu, Port Ellen, Littlemill and some others. The old Port Ellen is absolutely filthy. 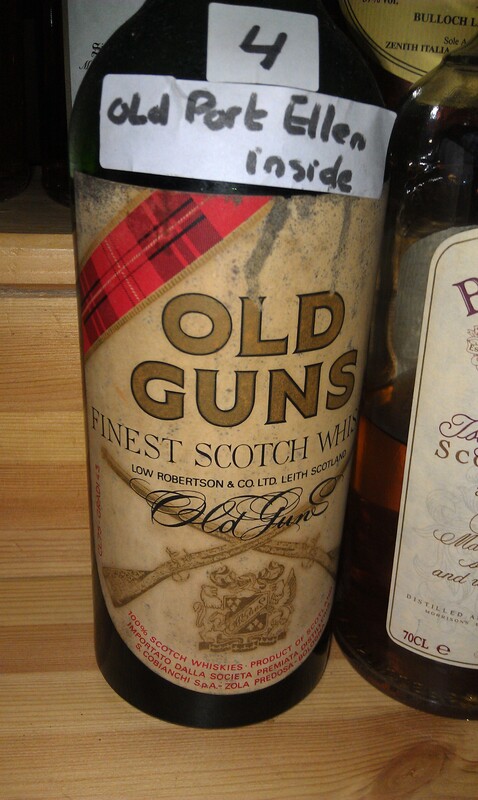 One of the worst drams I’ve ever tried. Don’t really remember the exact tastes but I assure you it wasn’t good. In between we also took some time to try different Prichard’s bourbons, a rye and their single malt. The single malt was my favorite of the bunch, albeit still only interesting for novelty. We also had a long chat with the man who runs The Maltman bottlings. A nice chap who unfortunately didn’t bring his latest Ben Nevis 21 but did tell the sister cask is being bottled soon. We tried a Springbank, Hazelburn, Glen Keith and Mortlach. The Glen Keith was stunning, and the rest pretty good too. All in all, a pretty fine afternoon with some really good drams. The best ones were the BenRiach 12 and Balvenie 9, and those were also the most affordable ones. Doubly successful, so to say! This entry was posted in Balvenie, Ben Nevis, BenRiach, Clynelish, Glen Keith, GlenDronach, Hazelburn, Littlemill, Mortlach, Port Ellen, Undisclosed and tagged Balvenie, BenRiach, Berry Brothers and Rudd, Bert Vuik, Clynelish, Creative Whisky Company, David Stirk, Douglas Laing, Drinks & Gifts, Dutch Connection, Dutch Whisky Connection, Fred Laing, Glen Keith, GlenDronach, Hanyu, Hazelburn, Ichiro Akuto, Ichiro's Malt, Littlemill, Michiel Wigman, Mortlach, Old Guns, Old Malt Cask, Port Ellen, Prichard's, Somewhere in Speyside, Springbank, The Maltman. Bookmark the permalink.